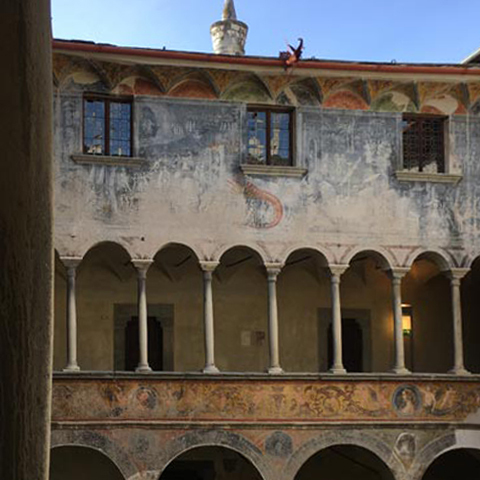 Palazzo Besta: what a surprise! - Viva! 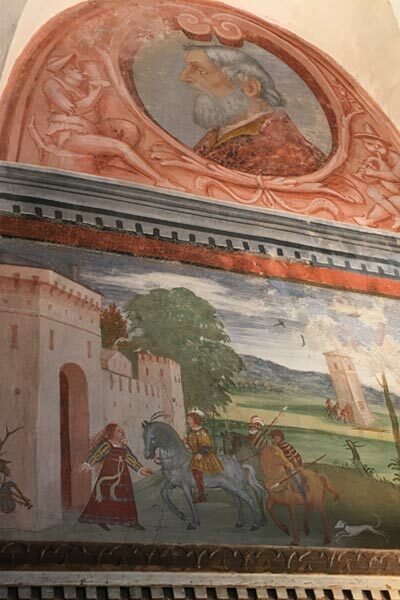 Palazzo Besta: what a surprise! 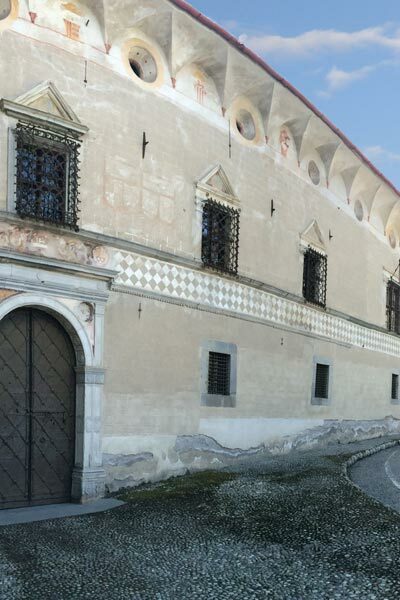 As we were approaching the ancient village of Teglio (SO), for the meeting with Dr. Berizzi Flora, art historian, director of Palazzo Besta, certainly wec could not even imagine it. In a mountain landscape in the heart of the Alps of Valtellina, once it crossed the valley and went up the mountain along terraces of vines and fields of rye and buckwheat (since the time of the Romans! ), Here we arrive in front of an architectural marvel Renaissance. 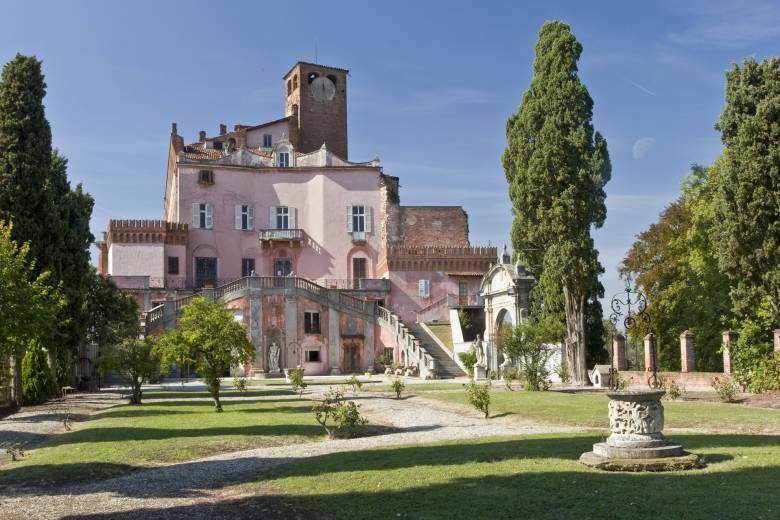 A sixteenth-century villa, built by the Besta family, approximately in 1433 on commission Azzo Azzo I and II Besta, beautifully preserved. 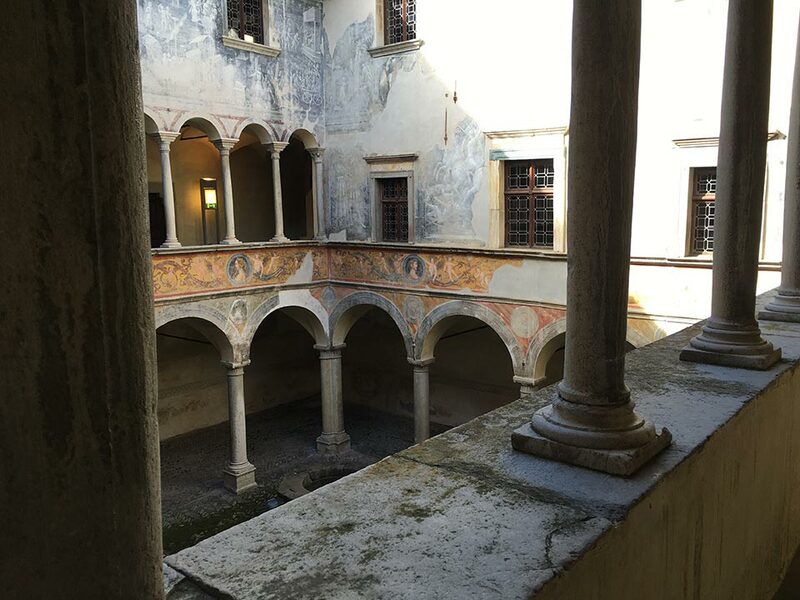 In the courtyard and in the halls of the palace there are frescoes and paintings with the cycles of the Aeneid, Orlando Furioso and Creation. A head up inspection, full of history and beauty and of constant surprises and curiosity. Now we have to work and make this place no longer a vacation spot for jus a few, but an essential destination in the cultural paths of our Lombardy.